Quote: "Friday July 28, 2017 at around 8:30pm, the body of a female believed to be in her 50s was found at 450 Dicks Hollow Road. On Monday, July 31, officials with the Virginia State Medical Examiner’s Northern District in Manassas ruled the woman’s official cause of death as smoke by inhalation. Additionally, they determined there were no signs of foul play." Quote: "Palos Hills police and the office of the state fire marshal are investigating a body recovered Monday from a burned-out vehicle, according to deputy police chief Traci Hlado. Police and fire units responded shortly before 7 a.m. Monday to a grassy area near Pleasure Lake, a city-owned park near 108th Street and Roberts Road. A passerby had reported seeing a burning car, and when police and fire units arrived, the vehicle was smoldering, Hlado said Wednesday." Quote: "Crews rushed several inmates to the hospital after they suffered seizures Tuesday afternoon, CBS Miami reports." Quote: "An employee of Sims Brothers, 512 Plumvalley St., uses a crane to pick up metal debris as firefighters of the Bellefontaine Fire and EMS Department try to extinguish a fire started by an explosion around 3 p.m. Monday. Firefighters, who were on scene for two hours and 40 minutes, do not know what cause scrapped objects to explode and catch fire." Quote: "Officials say a deadly fire in a Honolulu high-rise apartment building caused an estimated $100 million or more in damage. Honolulu Fire Captain David Jenkins said Tuesday the blaze is considered one of the most destructive in Honolulu's recent history. He says more than 80 units were damaged by fire, heat or smoke, and 30 of those units are considered a total loss. Another 130 units sustained water damage." Quote: "The man was working eight feet down and was trapped in a 21-inch in diameter pipe. The hydrogen sulfide levels were high." Quote: "A Jet Blue plane was headed from California to Florida when the pilot had to make an emergency stop at Will Rogers World Airport because a weird odor was making passengers sick. The plane is still at the Oklahoma City airport, and officials are blaming the emergency landing on mechanical issues. They are still investigating what made the 183 passengers and crew members aboard sick. "Of those people, there were five that were treated for difficult breathing, nausea," said Karen Carney, with Will Rogers World Airport." Quote: "The smell was so bad that 20 to 25 of the 135 passengers had to be treated at the scene for breathing problems." Quote: "An ammunition depot in the Republic of Abkhazia, bordering Russia exploded yesterday leaving two people killed and 60 injured, including 30 Russian nationals. The Ministry of Emergency Situations has began evacuating the local population of the village of Primorskoe, Pravda.ru reported Thursday which commented that the explosion 'resembled a nuclear blast.' Sprodaic blasts continued even after the big explosion, the report said adding that the blast took place in the Defense Minitry premises in the village of Primorskoye and it was so intense that it was felt in Pitsunda, 70 kilometers away. " Quote: "Four fire engines and 21 firefighters and officers were called to a fire at a waste recycling centre on Transport Avenue in Brentford this morning. The fire affected around 10 per cent of around 1,000 tonnes of recycling waste. The Brigade was called at 1011 and the fire was under control by 1311." Quote: "While Margaret Belgrave and her family were outside waiting on the Barbados Fire Service to respond to a burning car, their home also caught afire. Both were destroyed. Belgrave, of Cave Wood Road, St Michael, told NATION Online her daughter, who also lived at the house with her two children, woke her around 2 a.m., telling her the car alarm had sounded and the vehicle was on fire." Quote: "The dead zones spur the growth of oxygen-eating bacteria, making it impossible for fish to survive. Decomposing organic matter generates hydrogen sulfide, a highly poisonous gas that shuts down the nerves regulating breathing, killing in seconds even at low concentrations. Hydrogen sulfide played a key role in the most severe of all mass extinctions in Earth's past, when 97 percent of all life died 252 million years ago." Quote: "The mysterious foul stench that filled the nostrils of Old Town residents last Sunday was all too familiar—the city first received complaints about a year ago. Sam Atwood, a spokesman for the South Coast Air Quality Management District, said it has definitely been a long term problem. Assistant City Manager Patrick Gallegos said, 'We have been working with AQMD since the City first received resident complaints last year.' Seal Beach isn’t alone. According to Atwood, the Air Quality District has received complaints about the mystery smell in Long Beach and other beach cities." Quote: "According to Atwood, there were some indications that at least some of the odors have been coming from an offshore source such as a ship—perhaps an oil tanker." Quote: "Another fire rips through Dubai 'Torch' Tower: That's 6 skyscrapers in 3 years!" Quote: "A warehouse was destroyed Thursday morning in a fire in north suburban Fox Lake. It happened around 11:30 a.m. at the Lakemoor Golf Club. The warehouse contained golf gear, including golf carts." Quote: "Salem Fire & EMS officials say 60 of the 64 were heavily damaged, and contents of those units included several cars and motorcycles." Quote: "A transatlantic cargo jet made an emergency landing at Shannon Airport on Friday after the crew reported smoke on board their aircraft. United Parcel Service (UPS) flight UPS-203 was en route from Philadelphia in the US to the German city of Cologne at the time." Quote: "A two-alarm fire destroyed 16 cars and caused extensive damage to a carport early Friday morning in Campbell, according to a fire captain. Flames were reported at 2:48 a.m. in the 400 block of Dover Way, according to Fire Capt. Bill Murphy with the Santa Clara County Fire Department." Quote: "The incident remains under investigation, but the cause of the fire has been deemed to be accidental." Quote: "Firefighters said they believe the fire started in a field and burned up to the building, but did not involve the building. Some cars were burned." Quote: "Crews are on scene at the sewer facility in Milton -- officials tell Newswatch 16 two methane tanks caught fire at the Milton Regional Sewer Authority on Route 405 sometime Friday evening." Quote: "Power was restored on Saturday, Aug. 5, after an underground transformer caught fire, causing more than 100 Southern California Edison customers to be without power Friday, utility officials said." Quote: "French authorities are investigating the mysterious death of two friends whose bodies were found in a back garden bearing no sign of violence. Lucien Pérot, 69, and Olivier Boudin, 38, appear to have died as they were having a meal together. Their bodies were found on Thursday in the garden of Perot's house in Authon-du-Perche, about 150km (90 miles) south-west of Paris. One was sitting on a chair and the other lying down, prosecutors say. 'Their bodies showed no apparent sign of attack. They seem to have died simultaneously,' the prosecutors told L'Écho Républicain newspaper (in French)." Quote: "A spokesperson for Portland Fire said the burning scrap metal pile is 600 feet in diameter and 11 feet tall. " Quote: "A Flybe pilot was stretchered from a plane after it made an emergency landing at Manchester Airport. The crew of the Dash 8 aircraft were forced to land part way through a two hour journey from [coastal] Inverness to [coastal] Jersey on Saturday afternoon. It was the first officer, who is second in command, that needed medical help and he was stretchered off the plane into a waiting ambulance." Quote: "The driver died from injuries sustained in the fire. Further investigation revealed the vehicle did not crash. The vehicle appeared to have become stuck in the driveway, Maiatico said. The heat from the catalytic converter and the vehicle’s exhaust system ignited some leaves or other debris near the vehicle and started the fire, Maiatico said." Quote: "A fire broke out Sunday at another high-rise tower in the Dubai Marina, just days after a blaze struck one of the world's tallest residential towers in the same neighborhood." Quote: "The fire Sunday began on clothes left on a balcony on the tower's 53rd floor, said Capt. Amer Abdulwahab al-Qahtani of the Dubai Civil Defense. He said investigators believe either an improperly disposed cigarette or combustion caused by the late morning heat, which was a sunny 109 deg., ignited the blaze." Quote: "Multiple cars, pile of tires on fire at Tarentum salvage yard..."
Quote: "So far, no information is available on the amount of damage to the salvage yard, and the county hazmat team was called to stop the foam from seeping into the Allegheny River." Quote: "The historic Windsor Mill is seen burning early Sunday morning in this picture from Windsor Severance Fire Rescue. The more than century old structure was undergoing a multi-million dollar renovation, and was scheduled to be reopened later this year." Quote: "A fire erupted at a Dubai five-star hotel in the Marina tourist hotspot on Monday, with no casualties or injuries reported. The fire in Movenpick Jumeirah Beach Residence (JBR) Hotel, which was quickly brought under control, was the third blaze in less than a week in Dubai, reports Xinhua news agency." Quote: "On Sunday, another minor fire occurred on a balcony at the Tiger Tower, causing the building to be evacuated. No injuries were reported. It followed a massive blaze across the road at Torch Tower early on Friday morning – the second time the 86-floor building has caught fire in two years." Quote: "A half-mile stretch of North Cary Street is currently closed as firefighters battle a scrap metal fire. The debris fire, which is in a 100-by-150-foot metal pile, began about 3 p.m. It is outside behind Spiegel Scrap Metal, at 212 North Cary St."
Quote: "The fire at Coplan’s Iron and Metal in the 1600 block of Seventh Avenue North was reported just after 4:00Monday afternoon. Several township fire crews were helping the Escanaba Public Safety Department battle the fire in the huge pile of junked cars there." Quote: "The fire at this salvage yard comes within a week of another salvage yard fire. Last Tuesday fire destroyed Pete’s Auto Wrecking, located West of Escanaba. Multiple fire departments spent countless hours working to extinguish that blaze." Quote: "Three-quarters of Greenland is covered by the only permanent ice sheet outside Antarctica, and permafrost is found on most of the rest of the island. These are reasons why it is very unusual, and possibly unprecedented, that two wildfires are burning on the giant island." Quote: "The fire was in a sub-basement of the multi-storey car park. Six cars were involved in the fire and around 13 were damaged." Quote: "Six cars were reported destroyed by the fire that was contained on the basement floor of the NCP Stoney Street car park - but that number has now risen to 10." Quote: "Fire officials say the 3,535 sq. ft. home was completely destroyed. Damages were estimated at $1,129,400 to the structure and its contents. Two vehicles parked in the first floor garage, a 2013 BMW and a 2007 Mercedes Benz, were also destroyed. They were valued at $18,303 and $17,920 respectively." Quote: "Two vehicles were found to be on fire around 7:00 a.m. in the secured yard of Jensen’s Towing. Firefighters had to use bolt cutters to slice through a heavy chain to access Jensen’s yard. A fully-involved 2003 Honda Odyssey was a total loss and a 2003 Chrysler Pacifica also was on fire." Note: People still park vehicles...anywhere?! Quote: "A 5-alarm blaze in Staunton Illinois has called in more than 11 area fire departments to a classic car shop. The fire happened Tuesday night at the Country Classic Cars on East Frontage Road. Authorities say the building housed between 100 to 150 vehicles. The business had a showroom for classic cars, repair shop and sold classic vehicles." Quote: "Business owner Russ Noel estimates about 150 classic cars likely worth millions were damaged." Quote: "Residents have spoken of their terror after a huge 'EXPLOSION' rocked their homes following an incident at a Kingsbury scrapyard. Emergency services – including firefighters and officers from the Warwickshire area – swooped on EMR Recycling Plant in Trinity Road following reports of a 'massive explosion' on Tuesday, August 8, at around 12pm." Quote: "Fire officials said the garage had three classic cars inside, and those were destroyed. Damages are estimated to be $250,000." Quote: "Fire crews were called out to two different car fires in the same road within a nine hour period over Monday night and Tuesday morning (August 7-8). Both incidents took place in Friend Avenue, Aldershot, and were dealt with by crews from Rushmoor fire station." Quote: "Al Della Fave, a spokesman for the Ocean County Prosecutor's Office, said a witness reported smoke and flames at the hut, situated on the beach near Second and South Ocean Avenues. 'When fire personnel responded, they found the structure fully involved,' Della Fave said." Quote: "An underground fire released high levels of carbon monoxide that overtook firefighters and caused the evacuation of a two block area of West Chester Wednesday evening, fire officials said. The elevated gas levels sidelined five firefighters around 4 p.m. as they tried to put out an underground transformer fire along the 200 block of W. Gay Street, West Chester Borough Fire Chief Michael McDonald said." Quote: "A transformer fire knocked out power to more than 6,000 Southern California Edison customers in the Long Beach area Wednesday morning. The outage, first reported at 5:15 a.m. according to SCE’s website, was affecting 6,410 customers as of 7 a.m."
Quote: "The locomotive fire forced the engineer to bring a full coal train to a complete stop in the middle of Oakland at about 11:35 a.m. Wednesday." Quote: "I lost three more (vehicles). Within 20 minutes our home was gone." Quote: "A JetBlue flight headed to San Diego from Boston was diverted to Buffalo Thursday night after several crew members reported feeling ill and were taken to the hospital." Quote: "There's an odor on board the aircraft that the flight attendants didn't like. We're not sure what the odor is at this point." Quote: "The Federal Aviation Administration told Cheektowaga Chronicle that they do not investigate these types of events." Quote: "A flight bound for Barbados out of Fort Lauderdale-Hollywood International Airport turned back because three flight attendants were sick, airport officials said. The Jet Blue plane was evacuated and Hazmat and paramedics were called, said Alan Siegel, an airport spokesman." Quote: "They said there was an odor or fumes on board." Quote: "Three JetBlue flights in two weeks diverted due to cabin odors..."
Quote: "A nurse travelling on the bus said the driver told her he 'doesn't remember hitting anything' and had lost consciousness before ploughing into the shop front." Quote: "Shoppers and workers at Regent Mall had to be evacuated Thursday night after reports of a natural gas smell. The Fredericton Fire Department says it received a report of a natural gas odour at the front of Walmart around 8:30 p.m. Enbridge Gas employees went through the mall with their gas detectors, but did not find any signs of natural gas. Officials believe the smell was sewer gas, and gave the all-clear just before 10 p.m."
Quote: "According to the hospital, PECO and local fire officials have confirmed that there was no gas leak and all areas of the hospital have been cleared and are fully operational." Quote: "Sittingbourne has been plagued by a mystery stink. More than 70 puzzled residents have commented on Facebook since the town became swamped by the smell. Many flooded the national emergency gas hotline fearing there was a major gas leak." Quote: "The corpse of a man has been found on Tuesday night inside a car that has been burned out in the a car park belonging to the company Abengoa in Seville." Quote: "No RAF airplanes went sonic on that day. Moreover, you would not get a flash with a sonic boom. No lightning strikes were recorded over the whole UK on Sunday night and Monday morning. So astronomers said it may have been a comet or asteroid explosion while entering the atmosphere at about 35,000-55,000 miles an hour." Quote: "The Middle East has been hit with an 'ungodly' heatwave so extreme Iraq's government ordered all of its civil servants to go home on Thursday, when temperatures rose above 50C. Temperatures are expected to stay above 45C for the next week, with the UK Met office predicting temperatures as high as 49C this weekend. Meanwhile Kuwait will see highs of 47C and 44C in Riyadh. It comes after temperatures above 48C every day this month in the Iraqi capital." Quote: "Birds in Kuwait have reportedly been dropping from the sky as temperatures soar to 50C across the Middle East." Quote: "A Hawaiian Airlines Boeng 767 airplane carrying 276 passengers and crew from Kauai to Los Angeles safely made an emergency landing at Hilo International Airport Friday night after the plane experienced smoke in the cockpit. The plane was two hours into its flight when it diverted to the Big Island, officials said in a report." Quote: "An underground transformer caught on fire at an apartment building in King of Prussia. Chopper 3 was over the scene on the 200 block of Dekalb Pike, just after 6 a.m."
Quote: "It’s unknown what may have started the fire. A section of a green waste pile about 300 feet wide by 300 feet long and standing around 15 feet tall, was on fire. Firefighters also were trying to extinguish tires that had caught on fire near the green waste pile." Quote: "The fire was located in the area of the clothes dryer in the basement. While at the scene, a car fire was reported about half a mile south on Candlewood Lake Road." Quote: "Two sections of Exeter Hospital were evacuated Friday after 19 staff members reported flu-like symptoms in the inpatient operating room, a hospital official said. The cause of the staff members' sickness at the New Hampshire hospital remained a mystery Friday, officials said. State public health officials who inspected the hospital on Friday had 'no findings,' hospital spokeswoman Debra Vasapolli said. 'Whatever caused it is no longer present,' she said on Friday night. Between 8:30 a.m. and noon, 19 staff members from the operating room complained of dizziness and nausea and were taken to the hospital's emergency room, Vasapolli said. Both the operating room and emergency room were eventually closed and evacuated, she said." Quote: "The cause of the odor is being investigated. Hazmat teams searched the hospital twice and did not find anything of concern. 'I’m not going to stand here and tell you 19 people didn’t get sick, they did, but we’re confident whatever sickened them is no longer there in the hospital,' said Asst. Chief Eric Wilking of Exeter the Fire Department." Note: Probably just some poison gas blowing through and getting sucked into the hospital via the HVAC system. Natural gas detectors and carbon monoxide detectors won't detect hydrogen sulfide. Unknown odors sickened people in two different passenger planes the day prior too, one in Buffalo (New York) and one in coastal Fort Lauderdale (Florida), both events mentioned in the 2017-08-10 update. From the full hypothesis: "There will be more unexplained HazMat events, often involving unusual odors. Eventually the entire populations of towns and cities will drop dead." Quote: "Rescue officials said at least six people, including children, were burnt to death and five wounded when their van caught fire early Sunday morning near the zoo. As the van caught fire, passersby began dousing the flames themselves and rescued the trapped passengers. Police officials said the van's gas cylinders are intact and believe short-circuiting could be behind the fire. However, they are yet to determine the exact nature of the fire as investigations are under way." 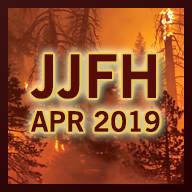 Quote: "Fire crews and an air tanker unit worked swiftly to corral a grass fire sparked by a burning car on Highway 101 that ran up a hillside and briefly threatened homes Saturday afternoon, authorities said." Quote: "Investigators believe an all-terrain vehicle may have shorted out and started the fire." Quote: "Portugal is fighting to put out a spate of wildfires after the southern European country hit a year high of outbreaks for a single day on Friday, authorities say. Portugal's Civil Protection Agency, which coordinates its firefighting efforts, said Saturday that it recorded a record for this year of 220 separate wildfires on Friday." Quote: "The disgusting smell that hit Manchester is hanging around - and we still don't know what it is..."
Quote: "The Guardian reported that NOAA research biologist Rick Brodeur, along with marine biologist expert Dr. Lisa-ann Gershwin, suspect increasing water temperatures may be related." Quote: "They are more commonly found in tropical waters but have been spotted since 2015 in increasing numbers along the Northern California Current, which spans Northern California to Oregon and Washington, according to the National Oceanic and Atmospheric Administration." Quote: "Some pyrosomes — which can glow in the dark — have even been spotted as north as Alaska, according to Reuters." Quote: "A 38-year-old businessman from Bengaluru was charred to death when a car he was driving caught fire at Madukkarai in Coimbatore in the early hours of Sunday. The man died inside the car as he could not unlock the seatbelt and escape." Quote: "Dileep Kumar, a Bengaluru-based jeweller, along with his family was going to Kochi from the city when his car’s engine suddenly caught fire near a toll gate at Madukkarai area early on Sunday morning, they said. He managed to push his wife and two children out of the car. However, he could not unfasten his seat belt on time and was burnt to death as the flames spread rapidly, the police said." Quote: "Shortly before 2:30 a.m. on the morning of Sunday, August 13 local area dispatch received a call of a structure fire on Highway 53. It didn’t take long for first-responders to realize the fire was actually happening at Nehalem Bay Fire and Rescue’s auxiliary rural volunteer fire station 11. From initial reports it appears at least two firefighting apparatus were destroyed in the blaze including an engine and water tender." Quote: "Watertown Fire Rescue doused two car fires in a span of little more than hour on Sunday. The first call came at 9:12 a.m. and one crew went to the area of Fourth Avenue and 33rd Street SW. A minivan had a small fire on its underside and firefighters quickly extinguished it. At 10:19 two crews went to the 800 block of Third Avenue SW and saw smoke coming from the passenger side of an SUV. The fire had been already extinguished and crews checked the vehicle for any other other hot spots." Quote: "Another car fire was put out by fire crews on the Cuesta Grade Sunday afternoon. The fire was called in at about 11 a.m., at an estimated 100 yards from Cuesta Summit. California Highway Patrol says the engine unexpectedly caught fire, and officials are still determining the cause. The fire started pretty close -- if not in the same place -- as a previous car fire, however, CHP says there is no relation to the previous incident." Quote: "An aircraft not originally scheduled to land in Knoxville made an emergency landing for mechanical repairs at McGhee Tyson Airport Sunday afternoon, according to a Delta Airlines representative. The pilot elected to divert the plane due to an odor, according to a Delta airlines representative." Quote: "Delta told Local 8 News one of the 149 passengers complained that an unusual odor was circulating throughout the cabin." Note: Extremely bizarre! Subsurface landslide in the area? Massive methane eruptions in the ocean? Quote: "A body of a teenage girl of Indian nationality was found in a burnt car in Jalan Changkat Hartamas 2, Hartamas Heights early Monday. The body, which was also burnt, was found in a Hyundai car in front of the house of the girl's aunt at 4.22 am, said Sentul police chief ACP R. Munusamy." Quote: "'A forensics team scoured the area but did not find anything that could be linked to the case,' he said in a statement." Quote: "Firefighters are struggling to contain a fast-moving forest fire in a popular coastal holiday spot northeast of the Greek capital. Dozens of homes have been damaged and residents have been ordered to flee." Quote: "34-year-old Brian Hauber told investigators he had parked the vehicle in front of the residence and gone inside. A short time later, a neighbor told him the vehicle was on fire. Firefighters were able to put the fire out, but not before it caused about $50,000 in damage to the vehicle, owned by Great Sounds Audio, and its contents. The fire also caused about $50,000 fire, smoke and water damage to the residence." Quote: "A car fire spread to a home on Horn Street in Lumberton on Monday afternoon. Lumberton fire department received a report about a car fire at 198 Horn Street at approximately 2:25p.m. according to Chief Jeff Mcneel with Lumberton Fire Department. The car was under a car port against the house when the fire broke out. The fire had spread to the home once firefighters had arrived at the residence." Quote: "A mystery gas injured nine people in the pool area at the Sea Crest Resort on South Ocean Boulevard Monday afternoon, sending two children to the hospital. Lt. Jon Evans of the Myrtle Beach Fire Department said the gas was like a 'cloud' that formed in an outdoor pool deck area in the resort at 803 S. Ocean Blvd. and drifted down to the neighboring hotel to the south." Quote: "The chemical that caused the poisonous cloud was also a mystery Monday afternoon. 'I’m not sure if it was just something to do with the pool, or something else,' Evans said. 'We were monitoring the area to try to figure out where it started, where it happened. At this time, it seems like whatever it was has cleared up,' Evans said, as hazmat technicians packed up to clear the scene less than two hours later. 'We’ve not had anything to show up on our monitor to pinpoint exactly where it was.'" Quote: "Appliances from Axminster and Lyme Regis and a supervisory officer were mobilised to a report of people feeling unwell in 3 adjoining properties in Cridlake. Fire service attended and checked inside and outside the properties with Gas Detection equipment. No readings of hazardous gases were found. The incident was handed over to the Ambulance Hazardous Area Response Team"
Quote: "The odd smell that wafted into Lake Havasu City on Tuesday is believed have come from California’s Salton Sea, which has recently experienced high hydrogen sulfide levels. The smell of sulfur spread not only to Lake Havasu City, but throughout Mohave County, according to Havasu fire officials. An odor reportedly resembling 'rotten eggs' permeated Northwestern Arizona Tuesday, in areas including Havasu and Kingman. The origin of that odor, according to Havasu Fire Chief Brian Davis, may be California’s Salton Sea." Quote: "It smells kind of like rotten eggs with the landfill mixed together." Quote: "Residents say they mostly notice the smell early in the morning, at night, and sometimes on the weekends. Brandon Steinberg, who has lived in his home for six years, says he’s never smelled anything like it before." Quote: "The cause of a 'horrible' smell reported in parts of Cardiff city centre and Cardiff Bay has been investigated by Cardiff Council. People in the Welsh capital took to social media on Tuesday to question the cause of the stench. Welsh Water said it 'sent an inspector to investigate' and was satisfied the odour was not linked to its network." Quote: "In just one day, an area of land covering 1,860 square miles of the Northwest Territory has burned. That’s a zone 50 percent larger than the entire state of Rhode Island going up in smoke over just one 24 hour period." Quote: "A three-acre brush fire continues to burn in Diamond Bar on a hillside off the northbound 57 Freeway Tuesday afternoon, just north of Pathfinder Road. A vehicle stopped on the freeway caught fire around 4 p.m., and the fire spread to the brush, said Los Angeles County Fire Department Inspector Joey Marrone. Firefighters stopped the fire’s forward progress by 5 p.m."
Quote: "After an investigation by Liberty Utilities, it was determined that the smell was 'not due to a gas leak or any hazardous condition associated with Liberty Utilities facilities,' Smith said. Smith did not know what company or organization is responsible for the odor. 'Our units found that there was an odor in and around Gainesville but never located a source,' Smith said." Quote: "Liberty Utilities marketing and communications manager John Shore said it was unclear what caused the odor." Quote: "The region in the state of Tobasco, Mexico – famous for its hot sauce – is under investigation by geology experts after cracks were reported in Chacalapa, a rural suburb in south east Mexico. Vegetation around the eruptions has been killed and the sickening fumes have driven people from their homes." Quote: "'Nobody says a word of what is happening in our community. It is near a dirty space, but a crack opened and a vapour with strong sulphur smell comes from there until eyes sting.' Experts wearing yellow chemical hazard suits have been seen digging and taking scientific readings at the cracks." Quote: "Neighbours told me that near this place there is a dirty area, where smoke comes out, vapour with a sulfur smell." Quote: "Regional civil protection expert Javier Collado said his department is awaiting the results of tests on the fumes. He claimed that initial results showed there is 'no dangerous material there, nor methane gas.' He added: 'There is no danger of explosion. We cannot alert the population because there is no danger.'" Quote: "It's official: the B.C. Wildfire Service confirms the province is experiencing the worst wildfire season on record. Wildfire Service information officer Kevin Skrepnek says an estimated 894,941 hectares of land has been charred in B.C. since April 1. That eclipses the mark set in 1958, when 855,000 hectares burned." Quote: "A home in Kirkland caught fire just after 2 this morning in the 35 thousand block of Irene Road. One man was inside the house but got out without injuries. A nearby car caught fire and spread to the house which is now a total loss." Quote: "Students at Falcon High School were sent home on Thursday morning due to a strange odor. All students and staff were taken to the Falcon High School football stadium on the east side of campus as a safety precaution and so parents would have a place to pick up their kids. It was originally suspected to be a gas leak, but fire crews were never able to identify the cause of the smell." Quote: "Highly-polluted Bellandur Lake, the largest of the 262 lakes and tanks in Bengaluru, has spilled toxic foam many times in the recent past and on several occasions the toxic foam also caught fire." Quote: "A fire tore through a south Modesto wrecking yard Thursday, scorching more than 100 junked vehicles and slowing traffic for a few hours." Quote: "An iPhone explosion resulted in a fire and burn marks for a Washington D.C. couple. Things could have been much worse, especially considering their infant daughter was nearby when the phone ignited. There was a mark on the bed and burn marks on Curtis Gilmore's arm and his girlfriend DeAngela Miller's leg. They said it was all thanks to when an iPhone 6S Plus suddenly blew up. It happened when they and their 3-month-old daughter were lying near the phone, which they said was not charging and hadn't been used for a while." Quote: "This leak didn’t involve a utility, a ruptured pipe or some sheepish backhoe operator who didn’t call before he dug. Rather, this was a significant, sustained emission from a raw underground deposit. Norfolk Mayor Charlie Luke reported Friday afternoon that the leak occurred in the area of 1586 North Walsingham Road 10. After first responders arrived, the order was given to evacuate everyone within 400 metres of the leak." Quote: "There are 'significant levels of hydrogen sulfide (H2S) related to a gas well' at a property on 10 Concession Road, Langton, the health unit stated in a media release issued on Friday night. Hydrogen sulfide smells like rotten eggs and at high levels can be flammable, said a fact sheet provided by the health unit." Quote: "The Post Office on Abercorn Street was evacuated on Friday afternoon after people were complaining of a 'chemical smell.' The irritation was causing breathing problems to some." Quote: "An upstate man is in critical condition after his truck went up in flames in front of the Bronx Zoo, police sources said Friday. The 29-year-old victim, from Carmel, was in his 2005 Chevrolet alone at the zoo’s front entrance on Fordham Road when the truck went ablaze just after 8 p.m. Thursday. He suffered lung burns and brain damage as a result of the smoke inhalation, according to the sources. He is being treated at Jacobi Medical Center. The incident is being treated as an electrical fire and does not appear to be suspicious, the police source said. The incident remains under investigation." Quote: "Dozens of residents were evacuated from an Uptown apartment building Friday when carbon monoxide readings spiked to dangerous levels following a nearby manhole fire, officials said." Quote: "Firies are working to contain a blaze that broke out at Sydney‘s Jones Bay Wharf earlier this afternoon. The fire, which started at about 3.40pm, seems to be coming from underneath a pier next to the wharf at the point of Darling Island." Quote: "One of the first residents at a city apartment building to smell the potent odor had a bad reaction. 'It hit me in the back of my throat,' the 660 Centre Street apartment resident said Saturday morning. 'I started coughing, crying and sneezing and stuff. I couldn’t get it out.' Several other residents had the same reaction to the nauseating gas at the apartment building and first responders were called to the scene at approximately 10 a.m."
Quote: "There's something curious happening in icy Greenland: a wildfire that has been burning for weeks. The wildfire appears to be historic in both its size and its duration, but no one can say for sure — because Greenland doesn't have longstanding records of fires. Officials haven't had much of a need for them, seeing as nearly 80 percent of the Arctic island is covered in an ice sheet." Quote: "Although the current fire’s cause remains a mystery, peat from thawed permafrost could be its fuel, said Jessica McCarty, a geographer at Miami University in Oxford, Ohio, who specializes in geospatial analysis of wildfires." Quote: "If the fire is being fueled by thawed permafrost, there may be underlying climate change implications, McCarty continued. 'The climate change [connection] is that there would be no fires here in Greenland if there were no fuel, and the only way that there’s fuel is if the permafrost is [thawed]. Personally, this is very disturbing to me,' McCarty said, because the fire indicates significant permafrost degradation 'sooner than [scientists] thought it would happen.' Researchers project significant permafrost loss in Greenland by the end of the century. Not 2017, she said." Quote: "Fire is absolutely out of control and growing, and it looks like nothing can be done even to try to take it under control, because of toxic fumes billowing from cargo hold, and because of danger of possible major explosion, considering the character of the cargo, ammonium nitrate, and its quantity. CHESHIRE in fact, is a floating bomb, loaded with more than 42,000 tons of explosives." Quote: "Maybe officials, along with salvage team and experts, just don’t know how to handle it all, what’s the chance of an explosion of all cargo or part of it, and what does explosion of more than 40,000 tons of ammonium nitrate looks like, what are the equivalents?" Quote: "The damage is estimated to be in the millions of dollars." Quote: "An estimated 3,000 people have been urged to leave their homes. The evacuation order came after strong winds pushed the fire to the south and the west, ballooning the burned area to about 92,000 acres and turning day into dusk in coastal cities. More than 400 firefighters are battling the blaze." Quote: "Southern Europe and British Columbia have been devastated by wildfires this summer. 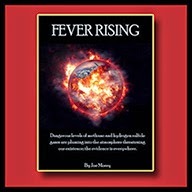 And they're not the only ones - it seems like much of the world is ablaze right now, and this could be the new normal." Quote: "Kevin Skrepnek of the BC Wildfire Service said 19 fires merged in an area west of Quesnel in the Interior, creating a single fire estimated to be 4,674 square kilometres in size." Quote: "It’s been decades since British Columbia has seen a fire anywhere near this big, Skrepnek said. The previous record was 2,250 square kilometres, set in 1958 by a fire burning in the northeastern part of the province." Note: The previous largest fire in BC history, 59 years ago, wasn't even HALF the size of this current fire, so it hasn't been decades since BC has seen a fire this big - they've NEVER seen a fire even remotely this big! Quote: "Croatian firefighters and armed forces were fighting dozens of wildfires on Monday (Aug 21) along the Adriatic coastline and on the popular tourist islands of Hvar and Brac, officials said." Quote: "A vehicle on fire rolled into an attached garage, which also caught on fire, causing some $100,000 in damages. Crews from Bellingham Fire Department, North Whatcom Fire & Rescue and South Whatcom Fire Authority responded to the scene at 3191 Lakeshore Road shortly before 6 p.m. Monday. Mitch Nolze, a fire investigator with the Whatcom County Fire Marshal’s Office, said the vehicle caught on fire while parked away from the home with the attached garage." Quote: "The explosions, Shorb said, most likely came from the family’s SUV, which was also destroyed in the fire." Quote: "The Tamar, Plymouth and Looe Coastguard rescue teams and the coastguard search and rescue helicopter from Newquay were called to Penlee Point at Rame Head at about 4.40pm on Sunday, after a man fell between 100ft and 200ft down a cliff. The man, who had suffered a medical episode, was quickly located and assessed by both the police and paramedics – it was deemed best that the casualty needed to be taken to hospital by helicopter." Quote: "Police have closed a Brisbane city street and people have been evacuated from buildings after reports of a 'strong rotten egg smell', according to an emergency services spokesman." Quote: "Queensland Fire and Emergency Services area commander Ted Ireland had initially told The Courier-Mail that while the source of the hydrogen sulphide gas leak had not been found, the sewerage system may have let out the gas when it had a 'little burp'. But further investigations have found there were no sewerage lines running directly under the TPG Telecom House." Quote: "A Delta Air Lines flight from Boston to Atlanta was diverted Tuesday due to an odor in the cabin. Flight 981 diverted to John F. Kennedy International Airport in New York 'out of an abundance of caution due to an odor in the cabin,' according to an airline spokeswoman." Quote: "Joining a host of similar reports in recent weeks, a Delta Air Lines flight was diverted Tuesday after an odor was detected in the plane’s cabin." Quote: "A helicopter caught fire during a training session at the Glendale Municipal Airport Tuesday morning. Everyone got out safely and there were no injuries, according to the Glendale Fire Department." Quote: "A Spring Valley resident is in critical condition after her clothes caught fire in a Spring Valley apartment. Spring Valley police and fire departments responded to a call for a possible fire at 8:11 p.m. Tuesday at 103½ West St. Paul Street, according to a press release from Spring Valley police. Upon arrival, police learned that two residents of the apartment had driven themselves to St. Margaret’s Hospital. There was no fire damage to the apartment, according to Spring Valley police. A 47-year-old female, whose clothing caught fire, was transferred to St. Anthony’s Medical Center in Rockford where she was listed in critical condition." Quote: "Firefighters from Cannock, Longton and Wolverhampton were called to Black Halve Lane in Essington at 12.26am. On arrival they found a car on fire. But when they tackled the blaze a deceased man was found inside." Quote: "The man’s death is not being treated as suspicious." Quote: "Meanwhile, another pharmacist, Santosh Thorat (40) of Manchar, who was returning home after attending the funeral of the three men, died after suffering a sudden heart attack on Wednesday evening." Quote: "Upper Arlington High School canceled classes on Wednesday after an unknown odor was noticed in the building. A message posted to the district's Facebook page just before 10:30 a.m. notified parents that students were being dismissed early." Quote: "Police helicopters and fire services were called to reports of a possible explosion this morning in Edge. It was thought to involve an electric pylon, but when police searched nothing was found." Quote: "The call came in around 5:46 a.m. after an employee of Copart, 3300 Vandalia, arrived at work and saw smoke and flames coming from the salvage yard. When firefighters arrived they found several cars were on fire." Quote: "Several cars were also inside the structure at the time of the fire..."
Quote: "In terms of property loss, the fire was one of the worst in recent Toppenish history, at an estimated $1 million in damage, Fire Chief Timothy Smith said." Quote: "Six city-owned pickups were destroyed, as well as a forklift, an air compressor and other tools inside the workshop, Smith said. Two employees’ cars parked next to the building were damaged, Smith said." Quote: "Six to eight vehicles caught fire in the parking garage above Walmart late Wednesday night." Quote: "A fire at a used car lot in central Fresno Thursday night destroyed a half-dozen cars and damaged other vehicles as well as an unoccupied home and a shed, the Fresno Fire Department said." Quote: "Welbury Grove, Hull. Thu 24 Aug 2017 01:18 (No:18568) Television on fire in living room. One main jet, two hose reels, four BA, two Thermal Image Cameras and PPV fan stage two in use. One adult female suffering from smoke inhalation treated at the scene by ambulance personnel. Smoke detector activated." Quote: "Lufthansa flight LH-542 made an emergency landing in Frankfurt, Germany, on August 24th. The Airbus A340-300 plane took off for Bogota, Colombia, but had to turn back after the crew noticed a smell on board. The plane landed back safely. All passengers and crew members remained unharmed." Quote: "According to statements at the scene from Police Chief David Steffen and Joey Hughes, general manager of the auction's Manheim location, the building evacuated was a recon center, and employees there reported smelling a foul odor and then complained of headaches and nausea. There have been unverified reports that the problem may have been a methane gas leak, but Hughes said the auction doesn't have methane in the recon building." Quote: "Students at New Vision Charter School in east Loveland were let out of class early Friday due to what school administrators and Loveland firefighters said was a strange odor. Marian Hejl, assistant principal at the charter school at 2366 E. First St., said the smell was first noticed in the morning inside the building, and students were taken outside and waited as Loveland fire department firefighters checked the interior air quality. Nothing dangerous was detected by the firefighter's air quality measuring instruments, though, and students and staff reentered the school to resume classes." Quote: "Fire crews have been deployed to a huge fire at a scrap metal yard blaze in a Lincolnshire town. Around 20 firefighters are battling the fire at South Fen Road in Bourne after the blaze was reported to emergency services at around 5.25pm on Friday, August 25. Reports say it can be seen for many miles, with images on social media showing a large cloud of smoke towering up into the sunlit sky." Quote: "Miami-Dade Fire Rescue said an electrical short in a vehicle started a blaze that engulfed two others. In total, 12 vehicles were damaged." Quote: "Two mysterious explosions were reported off the Digha coast in West Bengal's East Midnapore district this morning. Some hotels located close to the coast are reported to have developed cracks on walls, and glass panes shattered from the impact. The explosion sites are said to be well out in the sea, and not within visible range from the coast." Quote: "Police sources said they have found no material evidence on land, reinforcing assumptions that the explosion site was quite some distance off the coast." Quote: "Incidentally, the missile testing range at Chandipur on Odisha coastline is about 50 km from Digha. There were speculations whether missiles test fired from this spot accidentally landed close to the Bengal coastline. A number of missiles have been launched from the Integrated Test Range including Akash, Shaurya, Agni and Prithvi ballistic missiles. However, defence sources said they had no confirmation of any wayward missile. They also pointed out test fired missiles don’t usually pack explosives." Quote: "An airliner was yesterday forced to divert to Bermuda after smoke was spotted coming from the rear of the plane. The JetBlue flight bound for St Lucia with more than 200 passengers on board made an emergency landing at the island’s airport. A spokeswoman for the Bermuda Fire & Rescue service said the Airbus A320 aircraft was carrying 202 passengers and landed safely in Bermuda at about 12.15pm." Quote: "There were no injuries after a small fire broke out on one of the planes flown by the Snowbirds aerobatic team as it landed on Saturday. The nine-plane team was taking part in the Atlantic Canada International Air Show at CFB Greenwood, roughly 144 km from Halifax. As the Tutor jets used by the Snowbirds landed, one of them stopped well before the end of the runway after a small fire was spotted around the nose wheel and two fire trucks rushed out to the runway, said Michele Tremblay, a spokesperson for the Snowbirds." Quote: "Firefighters were called to Metal X in Waterloo Saturday evening after a pile of scrap caught fire." Quote: "As we previously reported, thousands of residents throughout Contra Costa County noticed a strange, sewage-like smell on Saturday evening." Quote: "But just before midnight on Saturday night, Olmos, who has lived a few blocks from the massive Valero Refinery for years, noticed a strange odor in the house, as if someone had turned on a gas burner on the stove in the kitchen and blown out the pilot light. Olmos and her family thought it was coming from inside the house until she stepped outside where the smell was even stronger. 'We figured it would go away on its own, but this morning it was still here, and it feels like whenever it rains the odor gets stronger,' she says. 'Our neighbors were all talking about it and then I saw people from different neighborhoods talking about it on social media. That's when I realized it's not just us this time. It's all over East Houston.'" Quote: "The communities 'can’t leave or evacuate so they are literally getting gassed.'" Quote: "Footage shared on social media shows people on the crowded beach packing up their things and rubbing their eyes as a hazy cloud appeared to drift in from the sea at Birling Gap, near Beachy Head (pictured) in East Sussex - Britain's tallest chalk sea cliffs at 530ft high"
Quote: "The source of the haze is not yet known but lifeguards said it was 'possibly some kind of gaseous fumes'. The coastline is a popular area with dog walkers and is a busy hotspot for tourists and locals enjoying the bank holiday weekend. But an exodus of confused and worried beachgoers was sparked when police evacuated the area and closed several roads to stop people from driving nearer to the noxious plume. Footage shared on social media shows people on the crowded beach packing up their things and rubbing their eyes as a hazy cloud appeared to drift in from the sea." Quote: "Gas seems to have appeared in ‘an unknown haze coming in from the sea’, police said, warning people to stay away from the beaches and to keep doors and windows closed if living near the coast." Quote: "A 'haze' that is causing discomfort for people along the coast from Eastbourne to Birling Gap has prompted emergency services to warn people to stay away from the beaches and to keep doors and windows closed if living near the coast." Quote: "A spokesperson said: 'We attended a number of reports of a smell of gas on Saturday evening. Our engineers carried out safety checks and there were no gas readings in the area which means the airborne smell was not related to our network.'" Quote: "Oslo Road, Hull. Sun 27 Aug 2017 20:46 (No:18864) False alarm good intent. Report of smell of gas in the area. Full search carried out and nothing found." Quote: "Around 100 residents were evacuated overnight on Sunday from a town centre block of flats, following reports of an acrid, chemical smell in the building." Quote: "According to Orkin.com, fire ants can exist in colonies of up to 250,000 workers and will sting intruders repeatedly. Fire ants feed on animal or vegetable sources of food according to the web site." Quote: "If you’re wading around flood waters and run into a raft of 100,000 fire ants, your day will get considerably more complicated. The ants will board you and sting and not let go, even if you submerge." Quote: "A man was found dead in the bed of a truck that was on fire early Monday in Upland, the San Bernardino County coroner said. The Upland Police Department said, while its investigation is ongoing, they do not suspect foul play. The man, whose name isn’t being released until after his family is notified, was discovered about 1 a.m. by San Bernardino County firefighters who were putting out the vehicle fire on Dewey Way near West Foothill Boulevard." Quote: "The Chetco Bar Fire, burning in southwest Oregon, is now 117,669 acres, up from around 108,000 on Sunday." Quote: "South Coast Air Quality Management authorities are investigating after residents in coastal cities, from Long Beach to Huntington Beach, reported strong sulfuric odors for the past three days. Mary Beth McDade reports for the KTLA 5 News at 10 on August 30, 2017." Quote: "Actionis being taken to control a rotten egg smell coming from the Port Adelaide wastewater pump station in West Lakes – just weeks after protestors kicked up a stink about the stench." Quote: "It comes after the Portside Weekly last month revealed that the smell was so intense, residents were waking up in the mornings with headaches from being exposed to it." Quote: "Peter Laznicka said he and wife Sarka had been 'overwhelmed by hydrogen sulphide' – the gas that smells like rotten eggs and is released during the plants treatment works." Quote: "The new fixtures – which do not have a budget – are expected to be in place by July next year." Quote: "A mandatory evacuation is underway in a one and a half mile radius of the Arkema Chemical plant in Crosby. Chemical refrigeration at the plant has been compromised due to high water and lack of power. Employees at the plant have been evacuated and families were being evacuated into early Wednesday morning." Quote: "An explosion and 'subsequent intense fire' are imminent at a flooded chemical plant near Houston, officials said Wednesday." Quote: "The Greenwood Volunteer Fire Department found themselves on the other side of a fire when their station went up in flames last Thursday. A fire truck quickly became engulfed in flames causing the building to be a total loss." Quote: "An employee at the showroom revealed that more than 200 cars were inside the showroom at the time of fire. Also, lakhs of spare parts, worth crores have burnt to ashes." Quote: "The Columbia Fire Department is working a multi-vehicle fire at a junkyard near I-20 in north Columbia." Quote: "Investigators are looking at the possibility a fire in a car that was in the vicinity may have spread to the pallets." Quote: "Now, researchers from the universities of Oxford, Barcelona and Pisa have shown in a new experiment that olfaction – or sense of smell – is almost certainly a key factor in long-distance oceanic navigation, eliminating previous misgivings about this hypothesis." Quote: "Those closest to the work, Bachner and John Michael Gorchock, died at the scene. The others weren't at the bottom of the well when the incident happened. 'It (the gas) got to them quick and they were overcome,' Brewer said. He characterized hydrogen sulfide as a 'sewer gas.'" Quote: "Three people were knocked unconscious by a gas odor that was reported at the Bexley at Preston apartment complex in Morrisville, authorities said. The call came in at 6:15 p.m. The three regained consciousness at the scene and are in stable condition. Two have been taken to hospitals for observation, officials said." Quote: "A Morrisville apartment building was evacuated and two people were taken to area hospitals after a 'gas odor' was reported. The Morrisville Fire/Rescue Department and a hazmat team are investigating the cause of the odor, according to the town. The town’s news release did not call it a 'gas leak.'" Quote: "No one was injured and investigators did not find any dangerous levels of natural gas." Quote: "A hazmat team was called out to Los Osos Wednesday afternoon after reports of a strong sulfur smell coming from a garbage truck." Quote: "Crews with the Surprise Fire-Medical Department are investigating a hazardous situation at a local landfill. SFMD responded to the landfill near Deer Valley Road and 195th Avenue Wednesday afternoon and discovered two people suffering an unknown medical issue. It’s unknown if the people were taken to the hospital but they were treated at the scene, officials said. Authorities are working to determine if there was a possible irritant in the area." Quote: "Boreholes present in the North Sea could possibility constitute a significantly more important source of methane, a strong greenhouse gas, than earlier thought." Quote: "Would the experts agree that these stones are conclusive evidence of a 'first encounter'? Probably not yet. Some alien remains or metallic fragments of a spaceship would do more to move the needle towards belief than yet another collection of artifacts showing beings with big heads and almond eyes. While they‘re interesting, controversial and puzzling, they’re not unequivocal proof." Quote: "Public health officials remain stumped about what may be causing an odor that has been reported on Madison’s east side, but they are continuing efforts to track down the source. Residents have been reporting a strong-smelling foul order since about mid-July, said Dane County Madison Public Health’s environmental health services supervisor John Hausbeck. He said the odor has been described as sulfur- and garbage-like. Hausbeck said residents are noticing the odor typically early in the morning or late in the evenings." Quote: "They say four people were treated on scene and two were transported to the hospital. On Twitter, Arvada Fire Department described an odor coming from a residential structure. They did not specify whether it was a home or apartment." Quote: "An Aer Lingus flight from Dublin to the US was diverted this afternoon after a passenger suffered a suspected seizure on board. A spokeswoman for the airline confirmed that flight EI101 travelling from Dublin to Newark had to be diverted to Keflavik International Airport in Reykjavik due to a medical emergency'." Quote: "A Ryanair flight from Bristol has been forced to divert following a medical emergency. The Malta-bound flight from Bristol Airport took off at 10.20am and had been due to land in Malta at 2.40pm. But the flight diverted and the twin-jet Boeing 737-800 aircraft landed at Pisa International Airport in Italy at 1.20pm before arriving at the gate half an hour later, according to Flightaware.com." Quote: "Police said the trio got trapped inside the centrally locked car and could not escape when the fire engulfed their vehicle." Quote: "Calls came in for the fire just before 4 a.m. Police closed off a portion of the street near the Costco store. Witnesses heard an explosion and then saw flames and black smoke coming from the manhole located near the intersection of Alakawa Street and Nimitz Highway. Multiple power outages were reported in the area, but Hawaiian Electric via twitter confirms all customers have been restored."